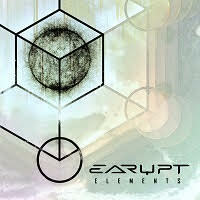 Recently, EARUPT, a Progressive Groove Metal act from Belgium released the most underwhelming album I’ve ever heard classified as “Progressive”. First of all, the “Progressive” parts are very brief and hardly ever enter the main structure of the music itself. On “Hooked on Life,” there are Progressive influences that actually manage to fit in with the overall song. However, there are also songs like “Bloodstain” where the only Progressive influence is on the intro riff that repeats later. The riff does not transition into the main body of the song, making it a pointless gesture and nothing more. Throughout the rest of the album, there are Progressive moments, but they are sometimes meaningless. Usually, this album just offers basic melodies and the occasional heavy groove. Every song that has melody, which they all do at some point, never has anything good to offer in that field. The melodies on this album are all basic, never peaking my interest. Even the solos are mediocre and lackadaisical. However, there are some heavy grooves on here. “Writings on the Wall”, “Hooked on Life,” and “Bareknuckle Fight” are all songs that can be thanked for that. “Hooked on Life” and “Bareknuckle Fight” (tracks three and four) is where this album peaked, as both songs have a very basic yet effective formula that gives them great flow. The latter of the two even has a chorus that reminds me of MEGADETH. Outside of music and structure and what not, the lyrics and overall theme of the band I feel are worth mentioning. I understand that most of what I listen to, that being a lot of Death Metal, has no straight forward meaning or particular message most of the time. I also understand that all Metal is, in some way, edgy. However, there is a certain type of edginess about this album that I just can’t shake, and it’s honestly making me cringe. I knew this would happen going into the album, as the song titles are things like “Rebellion” and “Writing on the Wall”. I thought to myself “Yep, this looks like something that high schoolers listen to”. And it pretty much is. The lyrics definitely have that theme that makes you want to say something along the lines of “grow up already”. Along the lines of lyrics, I just want to specifically point out “Heatwave,”, the last track on here. The lyrics are especially poor on this song, as they include the vocalist shouting “oh yeah!” two or three times. I feel like he could get sued by METALLICA or maybe Kool-Aid for that one. Also, it’s just lame; it’s not adding to the music at all. It actually makes me enjoy it less. I always like to say that bands have potential, but I feel like these guys really don’t. There were some heavy grooves on here, but I feel that the heaviness was only amplified by the mediocrity that surrounded those moments. This is a really boring album. It’s basic in every area and even cringy in some. Also, the band name isn’t good. Either these guys keep making boring, borderline mainstream music or they put their talents to actual use. At least the production was good.